Don't miss this incredible 6 hour CME event! Thursday, October 1st is the last day to vote for AAP President Elect! As we look to the new budget and legislative year here in New York State, and continue to work on the key children's issues in national health care reform, we can take a moment and savor the victories we were able to secure for children in New York last year despite great chaos and confusion in state government and the challenges that a huge state budget deficit presented. As we look forward to this new year of opportunities and challenges for pediatrics here in New York, below please read about a sampling of the practice, policy, budget and legislative issues that we will be working on. Of course, this list represents our current internal, membership driven priorities. 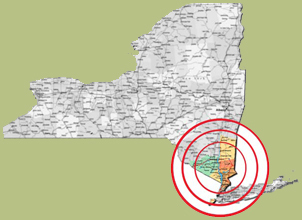 The District is currently involved in developing a focused partnership with the NYS Office of Mental Health and the State Department of Health to provide pediatricians with necessary additional training and support to offer a level of mental health treatment in the primary care setting. This initiative will also include creating an enhanced rate of payment to support the work of those pediatricians who are trained and want to offer the mental health services in their offices. To support our efforts in children's mental health, the District will create a coalition, called the AAP Partnership for Children's Mental Health. The Partnership will be similar to our NYS Immunization Coalition. We will be reaching out to other stakeholders in children's mental health, including organizations representing health insurers, parents, providers and young people themselves. We continue to vigorously advocate for a Bright Futures NY model as the best way for New York to create a true "Medical Home" for children. It is imperative that we all talk about Bright Futures and work hard not to let the special needs of children get lost in the state's ongoing work to create a model for medical homes. In addition, work continues as members reach out to our federal representatives to assure that children's needs remain part of the ongoing health care reform debate. Again, our role is to talk about the fact that children are not just small adults, they are special and have special defined health care needs. We need to continue to raise our voices articulating that any health care reform initiative must recognize the special health care needs of children. Our newest publication is a very colorful and information packed bookmark on Immunization. The bookmarks are FREE and are available to all members in large quantities to give out to parents. 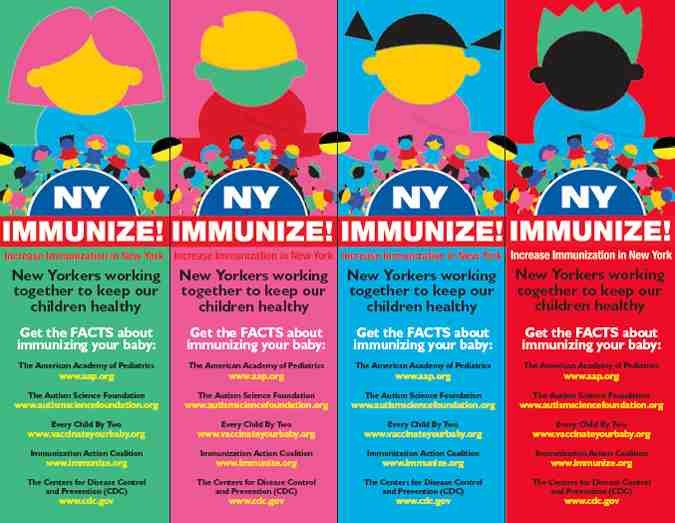 These bookmarks are designed for web savvy parents who may have questions about vaccines. You can order your free bookmarks in groups of 100 by contacting the District II Executive Director, George Dunkel, at gdunkel@aap.org. We have re-energized the District's Foster Care Task Force. The District has been asked to develop a position on the state's proposal to take a new look at the way foster care agencies get paid for providing health care to children in their care. We are working with public and private child serving agencies to get AAP NY Chapter 3's newly revised Teen's Health Care Bill of Rights into the hands of young people across the state. To date we have distributed several thousand booklets to the Office of Children and Family Services for their Juvenile Justice Prevention Programs, to The Health & Hospital Corp in NYC for their adolescent clinics, to ACS for its tween and teen foster care and prevention populations, and to Children's Aid in NYC for its community based and prevention programs. In all, we have given out more than 10,000 copies in the last several months. Our next partners will be the school based health programs in middle and high schools. As always, the Pediatric Councils in each of the three AAP NY Chapters continue to meet with key representatives of the health insurance companies in the Chapters geographic area. In each meeting the Chapter Councils work to solve specific problems identified by members. To date the Councils in all Chapters have had some successes and some frustrations. But the work goes forward and the relationships being built will help us better represent the needs of children and pediatricians to health insurers. This is what the District is doing now. As the year unfolds, our federal and state representatives will surely offer us policy, budget and legislative initiatives that will require our fierce advocacy for children, families and pediatricians. We look forward to working with all of you to make a real difference for children and for pediatricians across our state.